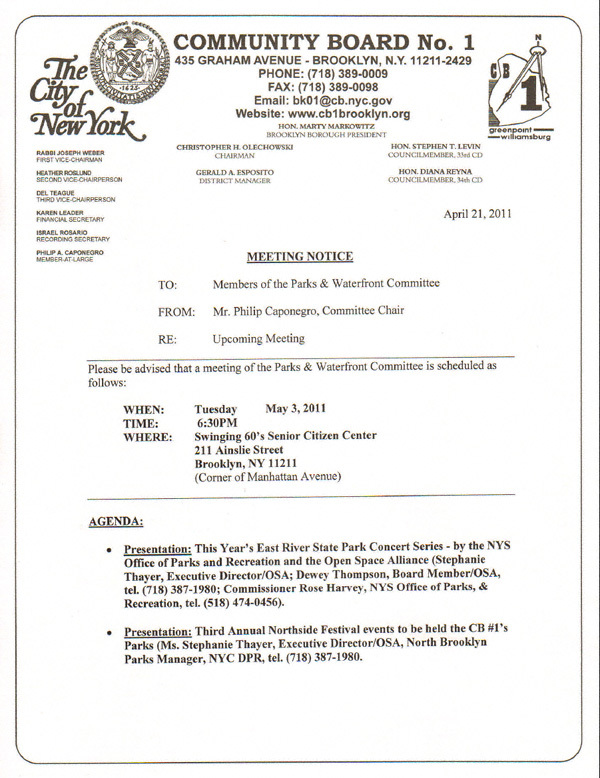 REMINDER: Parks & Waterfront Committee Meeting Tonight! Is it appropriate for a Community Board member— and a member of the Parks Committee at that (this being Dewey Thompson)— to give a presentation on the behalf of a not-for-profit organization (that being Open Space Alliance North Brooklyn) which is shilling concerts? This strikes yours truly as a pretty serious conflict of interest. Just a thought. May 3, 2011 starting at 6:30 p.m.